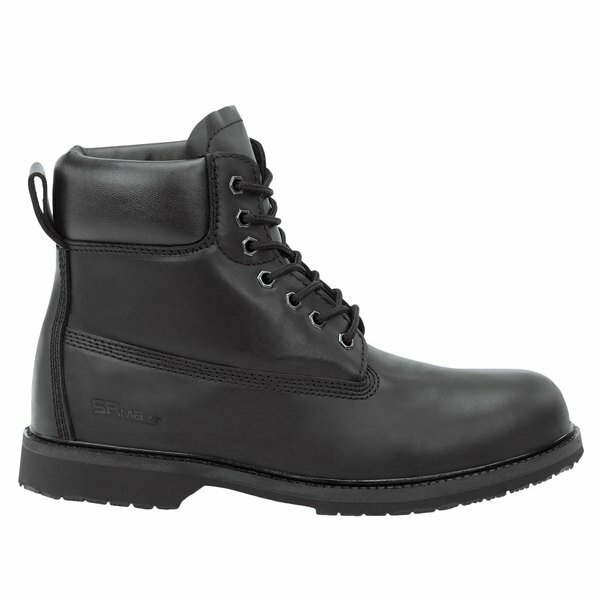 Face a busy day in this SR Max SRM5000 Washington men's black steel toe non-slip work boot. 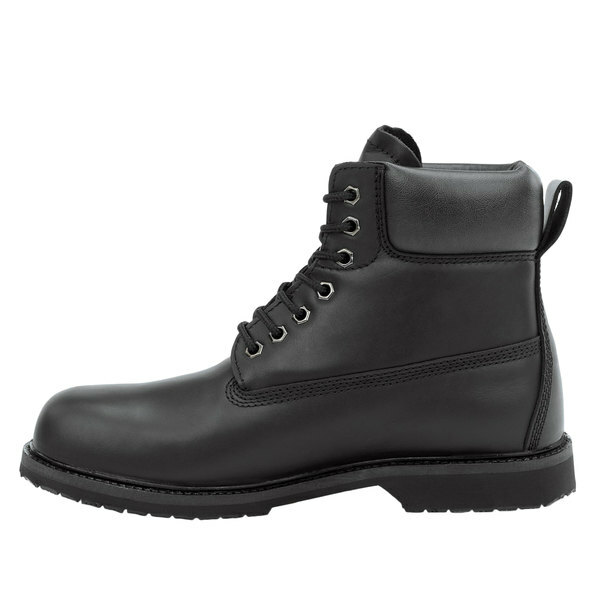 Made with water-resistant, oiled, full grain leather material and featuring taibrelle and fabric lining, this shoe is built to last. 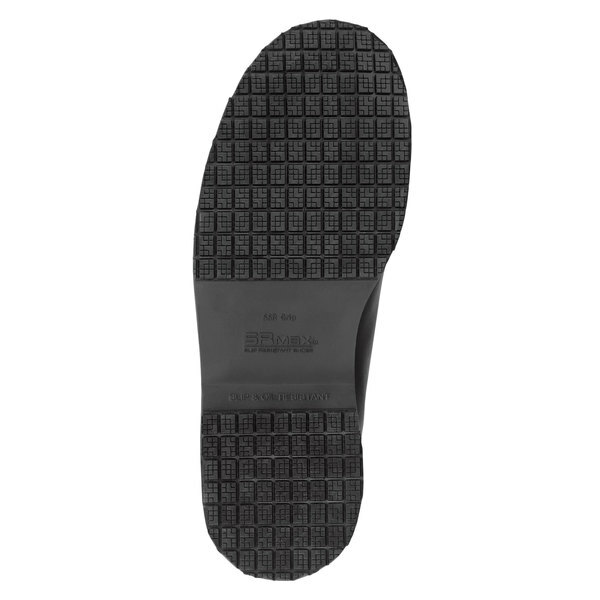 Inside the removable, molded PU cup insole and midsole create a soft inner layer for optimal comfort. 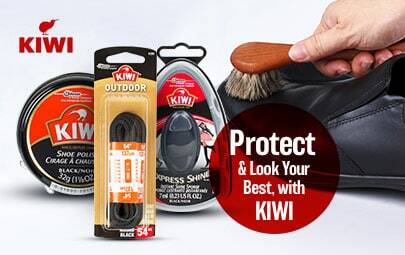 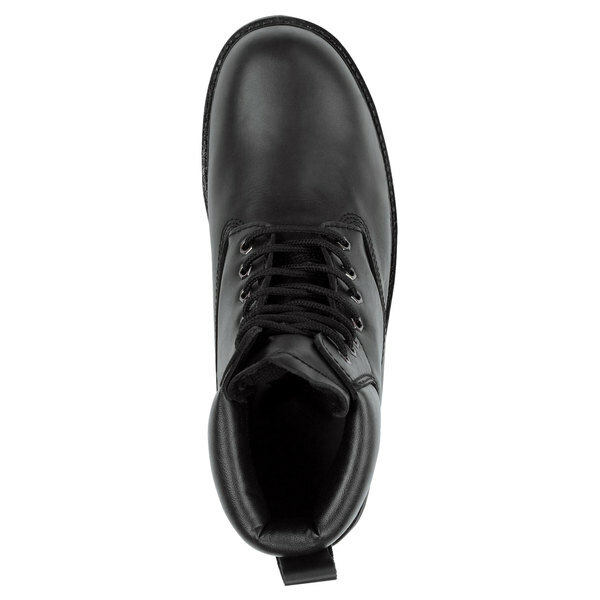 Additionally, the MaxTrax rubber outsole provides superior traction and is non-slip, making this shoe safe to wear in a variety of workplace environments. 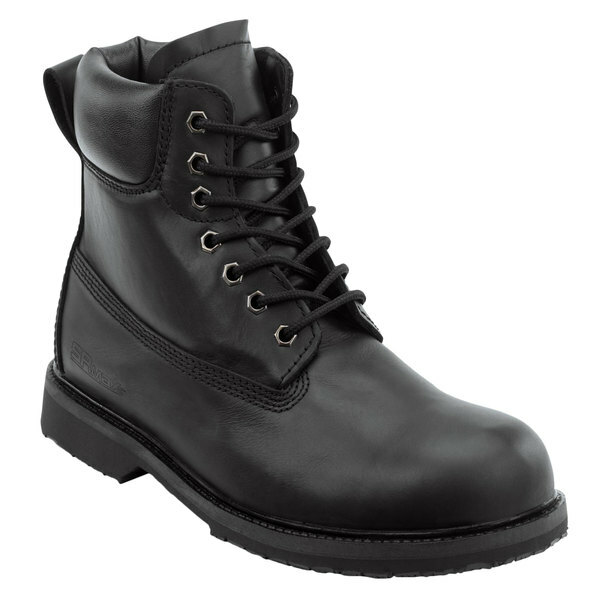 This boot also has a steel toe and electrical hazard protection, to provide superior protection for wearers.